Use ChartRequest to Partner with Key Healthcare Providers. When it comes to supporting value-based care initiatives, successful referrals are vital. Create smooth transitions of care with the right healthcare referral management software. At ChartRequest, we understand just how complicated medical records exchange can be. And we’ve made it easy to efficiently and securely exchange patient health information with a single platform. Positive patient outcomes depend on all providers having access to critical patient health information. However, inefficient workflows for health information exchange can easily result in frustrated patients and high referral leakage. 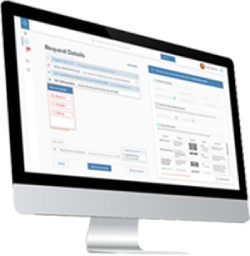 With ChartRequest, you’ll gain an EMR-agnostic, interoperable platform that shortens turnaround times for records request fulfillment. 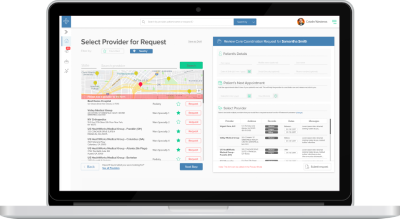 Tap into our network of referred providers, and quickly exchange medical records through our HIPAA-compliant software. Avoid gaps in patient care due to medical record delays. 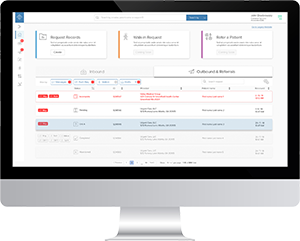 Our healthcare referral management software empowers your organization to proactively request records at the time of the referral. In turn, your organization can reduce referral wait times for patients—improving quality of care and patient satisfaction. Learn more about how ChartRequest makes release of information convenient. Scale referral volume while improving turnaround times and expediting your reimbursements. Our automated workflows streamline health information exchange, shortening the time between request and release. 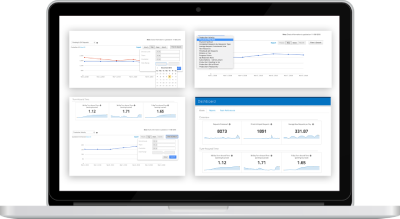 You’ll also gain real-time visibility into your organization’s referral management process with ChartRequest’s enterprise dashboard. Not to mention, your requesters and patients can check the status of their records online—which means less office calls and more operational efficiency.